California’s recent wildfires—which have been some of the deadliest and most destructive the state has ever seen—have brought discussions of liability and accountability back to the forefront of public conversation around the state. California is the only state in the nation with a strict liability “inverse condemnation” regime. Under this system, public entities—including utilities, according to California courts—can be held responsible for property damage even when they have not been found to have acted negligently. For example, Southern California Edison was at the center of investigations surrounding the 2017 Thomas Fire, which ultimately found that the utility’s equipment was responsible for the ignition. At the time, the fire was the largest in state history, charring nearly 300,000 acres, destroying over 1,000 structures, and resulting in two deaths during the incident, and 23 deaths in mudslides that followed. Southern California Edison could owe nearly $2 billion in connection with its role in the Thomas Fire. Similarly, equipment from Pacific Gas & Electric (PG&E), the investor-owned utility that provides electricity across most of central and northern California, is suspected to have ignited the Camp Fire. Over the course of six hours on November 8, 2018, the Camp Fire killed at least 88 people and destroyed over 18,000 structures, becoming the deadliest and most destructive wildfire in California history. 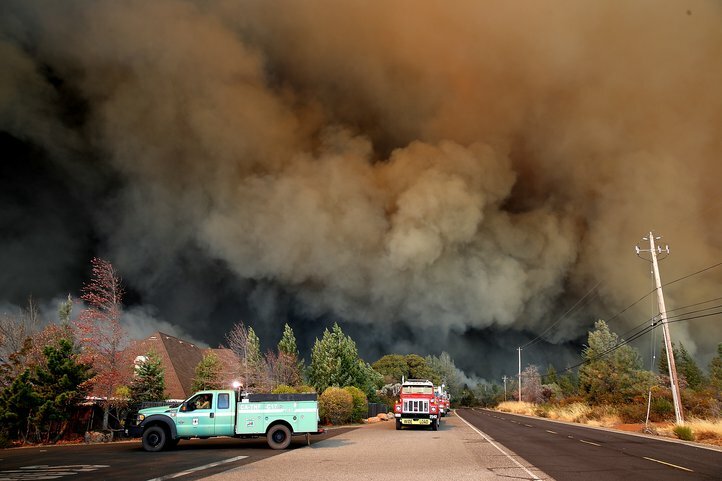 Facing up to $30 billion in liabilities for its roles in several recent fires, PG&E—which is valued at around $12 billion—filed for Chapter 11 bankruptcy protection in January 2019. As utilities continue to be entangled in legal and financial difficulties, it will remain a challenge to provide electricity across a state so predisposed toward wildfire disasters. To continue to provide electricity for its citizens, reduce losses from wildfires, and achieve these goals in a fair manner, California needs policies that encourage utilities, as well as homeowners and communities, to take steps to reduce fire risk. California’s current strict liability legal regime does not encourage the full range of possible solutions to fire risk because it fails to acknowledge all the factors that lead to destructive wildfire events. Put simply, wildfire disasters are the product of far more than just an ignition. According to a 2016 paper in the Proceedings of the National Academy of Sciences, climate change alone has led to a two-fold increase in area burned within the western United States over the past three decades. Wildfire suppression and clear-cut logging have in some areas led to forests dense with fuel. When fires occur in these areas, they are more likely to develop into intense and hard-to-manage incidents. Additionally, disasters are a function of human values in harm’s way. Households can affect risk of wildfire disasters through their choices over where to live and how to manage their homes and the land around it. For example, homeowners can reduce the potential for damages by making sure the areas surrounding their homes are clear of flammable materials. 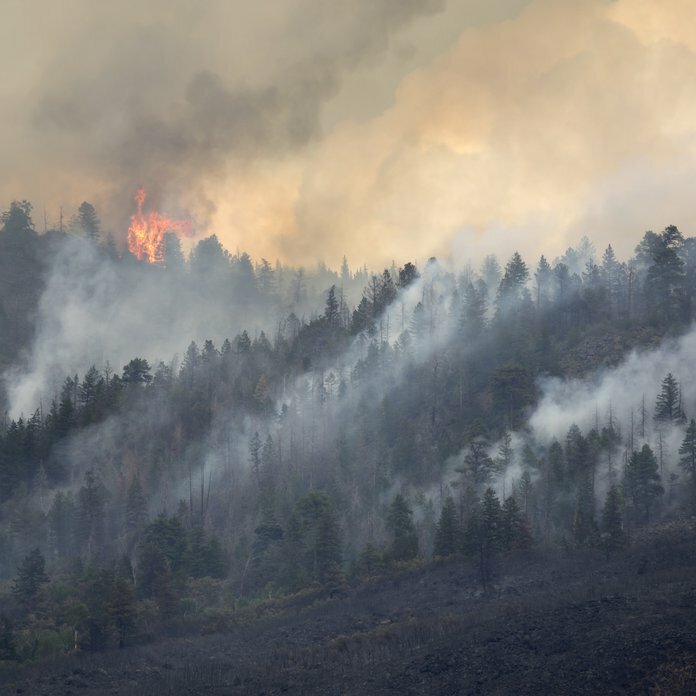 Placing full liability for damages from a wildfire on the party responsible for the ignition fails to incentivize activities that other parties—such as land managers and homeowners—could undertake to mitigate damages when fires do occur. At the same time, strict liability fails to effectively incentivize utilities to take steps that would reduce wildfire risk. Eliminating risk of fire ignitions from power equipment would require utilities to take prohibitively expensive measures such as burying thousands of miles of power lines. 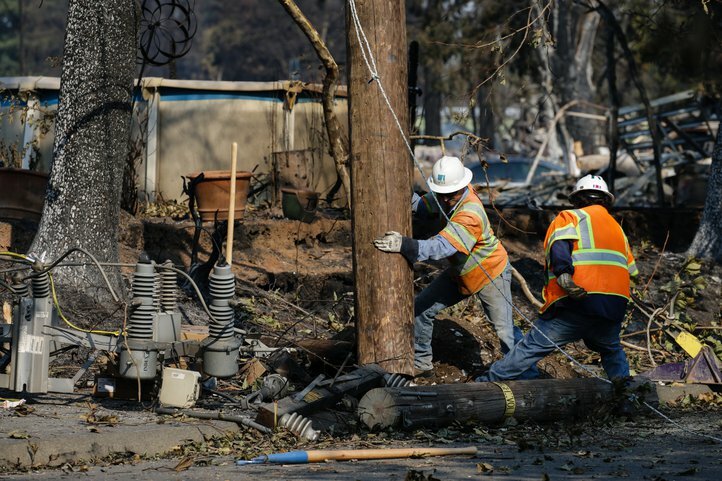 In the case of PG&E, in early 2019, a California judge proposed an aggressive plan to reduce risk from PG&E’s equipment, but PG&E estimated the plan would cost as much as $150 billion. As a recent issue brief by RFF University Fellow Carolyn Kousky argues, California’s strict liability legal regime fails to reward utilities for taking incremental steps to reduce wildfire risk. Because it would be cost-prohibitive to eliminate the possibility of utility-caused fires, and utilities will owe damages even if they act responsibly, they may not make a maximum effort to reduce fire risk. 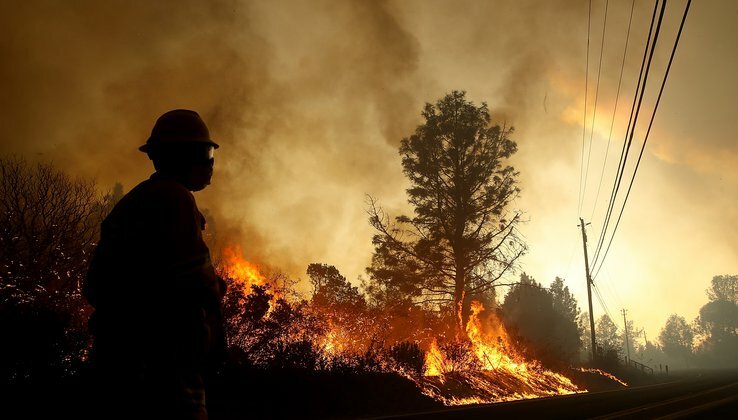 Better policy will require consistency among liability law and utility regulation, and will need to account for the diverse factors that cause ignitions to become wildfire disasters. Climate change is a major driver contributing to wildfire activity. Because responsibility for climate change is borne by society at large, it makes sense that all Californians—and perhaps all Americans—should bear some of the costs of wildfire disasters. But climate change is a long-term challenge. In the shorter term, better policy can be crafted to limit the likelihood of dangerous fires, and reduce their damages when they do occur. Kousky and coauthors suggest utilities found to have acted responsibly might be allowed to cover liabilities by differentially raising utility rates on homeowners in high wildfire risk areas. Similarly, utilities might be allowed to increase rates charged to consumers in high-risk areas to fund proactive risk-reduction measures. While California and its utilities struggle with increased exposure to wildfire risk, its citizens will continue to require electricity. Policymakers therefore must find a way to ensure the state’s electricity needs are met, while encouraging utilities, homeowners, communities, and owners of forestland to take steps to reduce wildfire risk. Full disclosure: One of the utilities mentioned in this article, PG&E, is an RFF funder. The views expressed here are those of the individual authors and may differ from those of other RFF experts, its officers, its directors, or the institutions that support RFF. PG&E was not consulted in the writing of this article. Can Fleeting Public Interest in Wildfire Risk Drive Long-Term Change?